A new Hawaiian spot, offering poke and more, has made its debut in the neighborhood. Called Aloha Poke, the new addition is located at 163 West N Ave. in Old Town. This is the ninth locale for the rapidly expanding Hawaiian-style chain, which specializes in customizable poke bowls with fresh, marinated fish topped with a variety of ingredients. According to its website, more locations are in the works in California, Colorado, the District of Columbia, Wisconsin and beyond. As with most poke restaurants, customers start with a base for their bowl like white or brown rice and mixed greens; then select a protein like tuna, salmon or tofu; add seasonings like ginger, scallion or tobiko; and finally top it off with a sauce like wasabi, sesame oil, or yuzu ranch. Aloha Poke has just one review on Yelp, which gives it a five-star rating thus far. 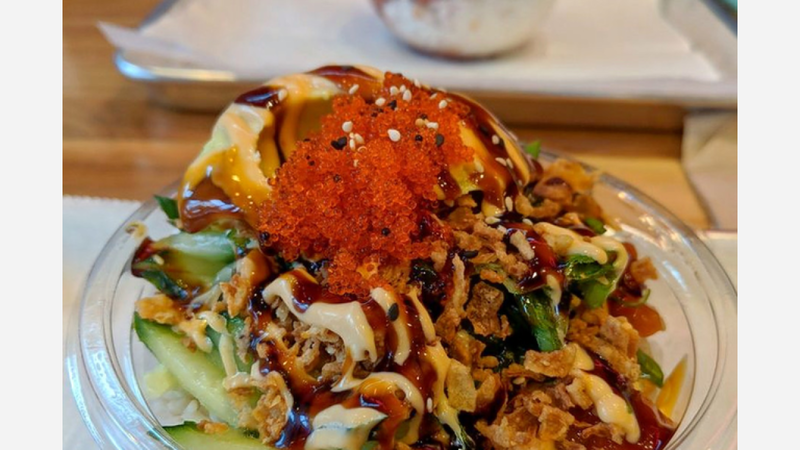 Janice L., who was the first Yelper to review the new spot on February 20th, said: "The newest Aloha Poke has opened in Old Town! Conveniently located at the corner of North Ave and Wells Street, this location is a great addition to the neighborhood." Head on over to check it out: Aloha Poke is open daily from 10am-10pm.